Got $31k To Spend On A Camera? Leica Would Like To Talk To You | OhGizmo! Leica makes some very nice cameras. They also happen to be pretty darn expensive most of the time. And then, some of the time, they’re downright outrageous. 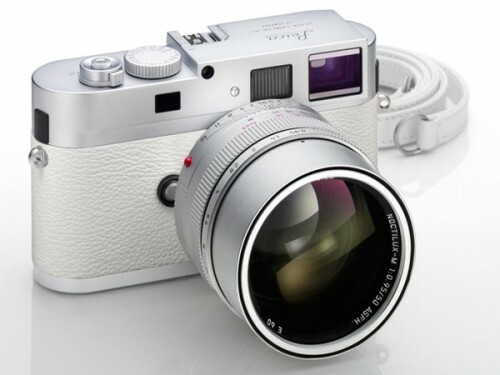 The Leica M9-P is already pretty pricey at $7,995. But that’s the regular black and chrome version. The limited edition white one you see pictured above? Yeah, that’s 2,620,000 yen (or around $31,770). You could buy a new car, a nice one, for that price. Or you could snap pictures of cats. It does come with a fabulous (and we mean fabulous) f/0.95 50mm lens, so there’s that. But aside from the exclusivity and the colour scheme, that extra $24 doesn’t go on any actual features. And it will only be sold in one of 9 retail locations in Japan, so if you’re not there you might want to factor in the cost of that plane ride. ← Optical Illusion Friday: How Many Circles?